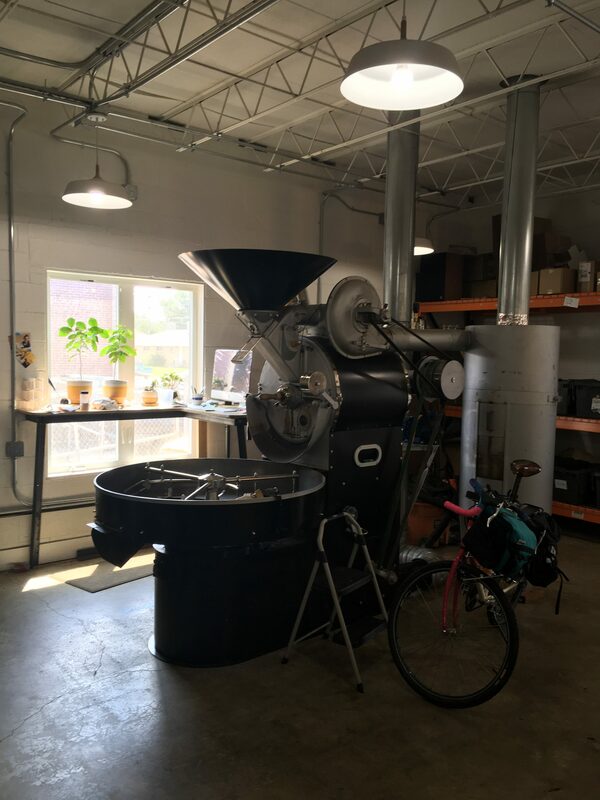 Commonwealth Coffee of Denver CO is not your usual coffee roaster/coffee shop, with a wonderful tasting bar set up, and open to the public. 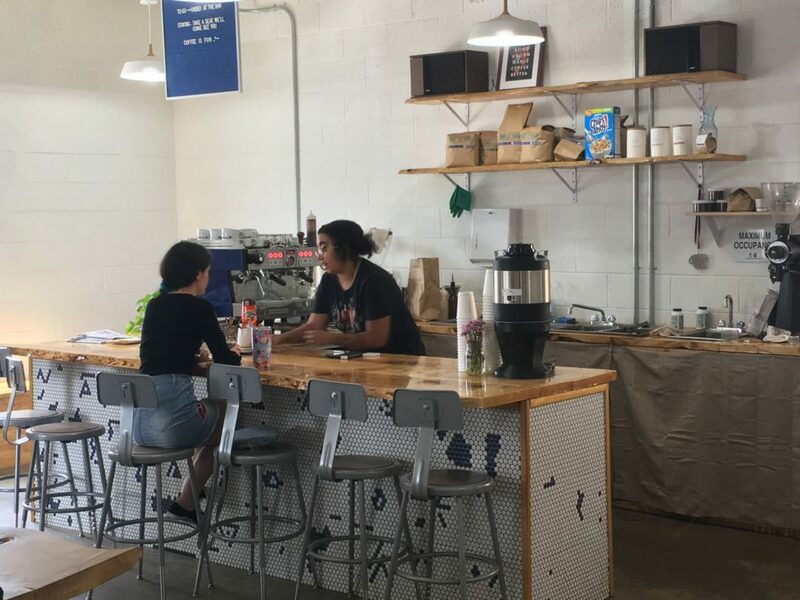 You can walk in, order from the bar your choice of espresso drinks, that are expertly made there, or have the coffee of the day, drip or pour over. This is not your local “let’s meet for coffee and spend the day there” place. Nope. This is for the serious coffee drinker. A place where you can get what you want, without having to deal with laptops, and inattentive parents with their rather over active kids. A coffee drinker’s heaven. I first became aware of Commonwealth in AZ, at Kream Coffee in Phoenix. I liked their espresso blend from the start, when I found out that they were bringing it in from Denver I was surprised, mostly because the local first movement is big in Phoenix. 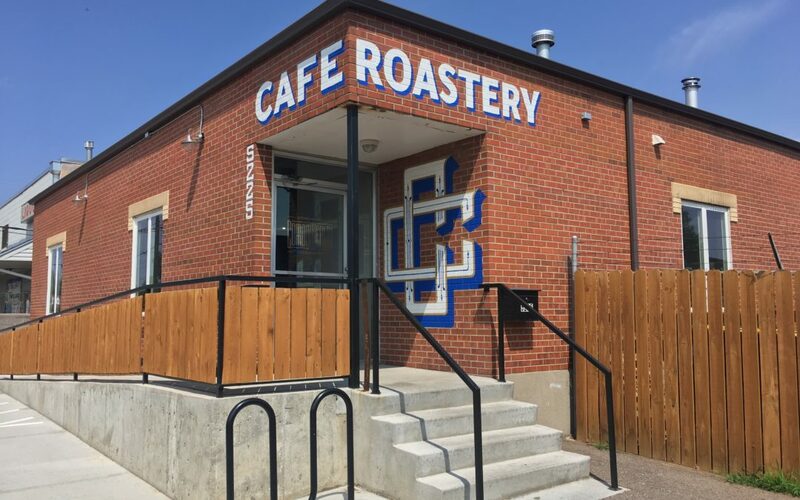 Commonwealth was not your average coffee roaster, I could tell that from their espresso blend.. Commonwealth is in the 38thblock of the Park Hill neighborhood, and they are the perfect member of the neighborhood. The coffee bar is open from 7am to 4pm, Monday thru Friday, and 8 to 2 on Saturday. You can make special arrangements for an event, or afterhours visit by making a phone call and setting it up. The Probot that does the magic. They have a bi-monthly, or once a month subscription, that you can choose to use if you like to have that service and save yourself some time, they will deliver it if you live within their area, otherwise it will go through the mail. The way our busy lifestyles are this might be a good choice. Overall, it was quite nice, and refreshing to go to a place and just talk coffee with your peers, with an excellent cup, and a chance to bring home a bag of it as well. As a coffee enthusiast you can’t get it any better than this.